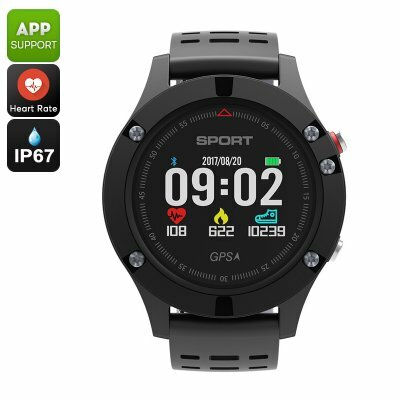 Successfully Added No.1 F5 Bluetooth Watch - Pedometer, Sleep Monitor, Heart Rate, Barometer, Thermometer, Altimeter, IP67, APP (Grey) to your Shopping Cart. The No.1 F5 is a cool outdoor Bluetooth watch that can be worn with confidence by both men and women. With its soft strap, this smart watch is comfortable to wear during the day. It comes with a crisp 0.95-Inch OLED display on which it lets you enjoy all its features even while you’re in bright sunlight. With its touch key design, this Bluetooth watch lets you easily browse through all its features straight from your wrist. 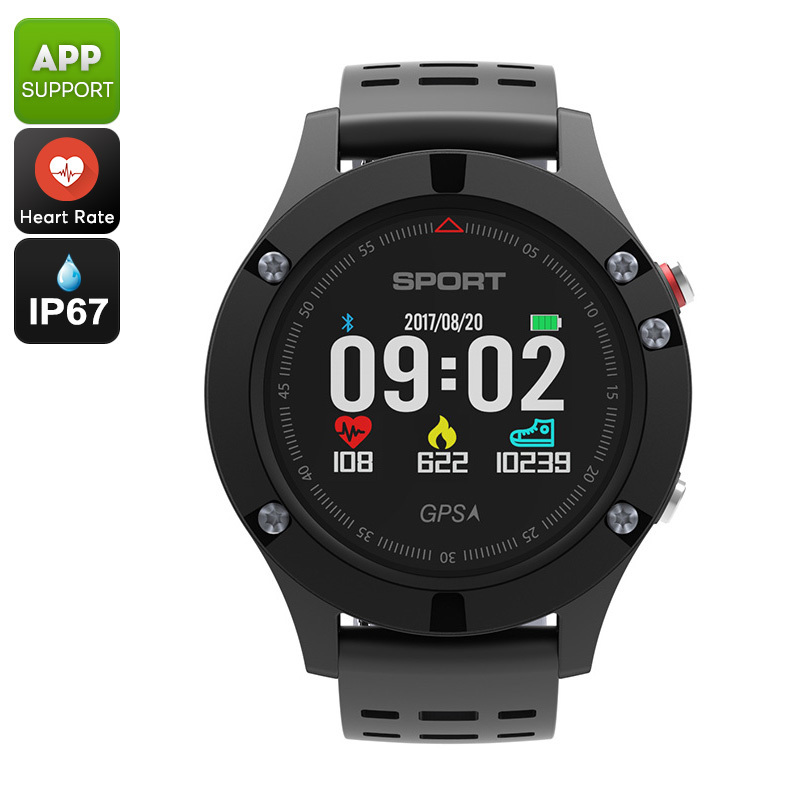 Coming with an abundance of outdoors and fitness features, this smart watch is great for all the outdoor lovers among us. It features an IP67 waterproof design. This means that you can use it with confidence in any environment without needing to worry about its well-being. A whopping 350mAh battery delivers up to 21 days of standby time. This Bluetooth watch can be synchronized with your iOS or Android phone through Bluetooth 4.2. When used along with your smartphone, it treats you to incoming messages, call, and social media notifications. The App furthermore offers a great platform that can be used to analyze the data your smart watch has collected. With its pedometer, this outdoor watch keeps accurate track of the total amount of steps you take during the day. It furthermore lets you track your heart rate and comes with a sleep monitor to analyze the quality of your sleep. For all outdoor lovers, the No.1 F5 Bluetooth watch comes with a barometer, altimeter, and thermometer. If you’re looking for an affordable outdoors watch that has it all, the No. 1 F5 is perfect for you.